LAVAL, Québec, January 17, 2018 – Alimentation Couche-Tard Inc. (“Couche-Tard”) (TSX: ATD.A ATD.B), one of the world’s largest convenience store retailers with over 15,000 stores globally, is excited to announce new full-service franchise opportunities with its Circle K brand in Canada. The expansion marks the first time the Circle K brand will be franchised in Canada with the offer initially targeting the Ontario province. Interested parties will be able to join a world-wide network of company-owned and licensed stores. Circle K’s entrance into the Ontario franchise market begins immediately and aims to foster the growth of the brand in the rapidly developing province. The franchise locations will also complement Couche-Tard’s nearly 10,000 stores in North America, including over 2,200 in Canada. The proposal includes access to Circle K’s popular private brands, comprehensive training and continued education of the brand, and total operational and marketing support. The new franchise stores will display the Circle K logo, which is a beacon for customers across the globe looking for an easy shopping experience. Couche-Tard is the leader in the Canadian convenience store industry. In the United States, it is the largest independent convenience store operator in terms of the number of company-operated stores. In Europe, Couche-Tard is a leader in convenience store and road transportation fuel retail in the Scandinavian countries (Norway, Sweden and Denmark), in the Baltic countries (Estonia, Latvia and Lithuania), and in Ireland and also with an important presence in Poland. As of October 15, 2017, and following the Holiday stores acquisition, Couche-Tard’s network comprised 9,987 convenience stores throughout North America, including 8,657 stores with road transportation fuel dispensing. Its North American network consists of 19 business units, including 15 in the United States covering 48 states and 4 in Canada covering all 10 provinces. Approximately 100,000 people are employed throughout its network and at its service offices in North America. In addition, through CrossAmerica Partners LP, Couche-Tard supplies road transportation fuel under various brands to more than 1,200 locations in the United States. In Europe, Couche-Tard operates a broad retail network across Scandinavia, Ireland, Poland, the Baltics and Russia through ten business units. As of October 15, 2017, Couche-Tard’s network comprised 2,750 stores, the majority of which offer road transportation fuel and convenience products while the others are unmanned automated fuel stations which only offer road transportation fuel. Couche-Tard also offers other products, including stationary energy, marine fuel, aviation fuel and chemicals. 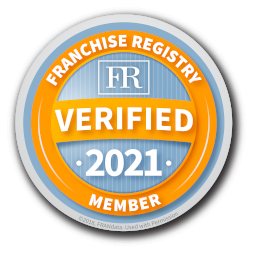 Including employees at branded franchise stores, approximately 25,000 people work in its retail network, terminals and service offices across Europe. In addition, under licensing agreements, more than 1,800 stores are operated under the Circle K banner in 14other countries and territories (China, Costa Rica, Egypt, Guam, Honduras, Hong Kong, Indonesia, Macau, Malaysia, Mexico, the Philippines, Saudi Arabia, the United Arab Emirates and Vietnam), which brings the worldwide total network to more than 15,700 stores. For more information on Alimentation Couche-Tard Inc. or to consult its quarterly Consolidated Financial Statements and Management Discussion and Analysis, please visit: http://corpo.couche-tard.com. The statements set forth in this press release, which describe Couche-Tard’s objectives, projections, estimates, expectations or forecasts, may constitute forward-looking statements within the meaning of securities legislation. Positive or negative verbs such as “will”, “plan”, “evaluate”, “estimate”, “believe”, “expect” and other related expressions are used to identify such statements. Couche-Tard would like to point out that, by their very nature, forward-looking statements involve risks and uncertainties such that its results, or the measures it adopts, could differ materially from those indicated or underlying these statements, or could have an impact on the degree of realization of a particular projection. Major factors that may lead to a material difference between Couche-Tard’s actual results and the projections or expectations set forth in the forward-looking statements include the effects of the integration of acquired businesses and the ability to achieve projected synergies, fluctuations in margins on motor fuel sales, competition in the convenience store and retail motor fuel industries, exchange rate variations, and such other risks as described in detail from time to time in documents filed by Couche-Tard with securities regulatory authorities in Canada. Unless otherwise required by applicable securities laws, Couche-Tard disclaims any intention or obligation to update or revise any forward-looking statements, whether as a result of new information, future events or otherwise. The forward-looking information in this press release is based on information available as of the date of the release.